Perhaps you love the sound of your alarm clock that flips in the morning, hardening a new day full of joy and adventure. More likely, you don't. 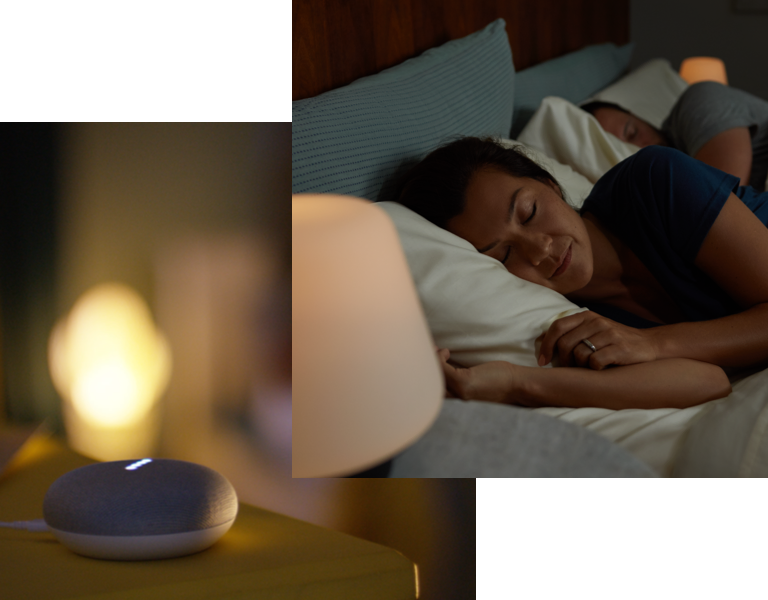 If you prefer a more gentle awakening (and have invested in some smart home technology), here are some great news: Google Home, you can now use your Philips Hue lamps to wake you up by slowly changing light in your room . Philips first announced this integration at CES earlier this year, with a planned expansion in March. It looks like it took a little longer because Google and Philips gently took this feature to life. Just as you can use your home to activate "Gentle Wake" that starts changing your lights 30 minutes before your wake up to mimic a sunrise, you can also go the opposite way and make the lights mimic the sunset you are reading for to go to bed. You can either trigger these light changes through an alarm or with a command that starts them immediately. While the price of white bulbs has come down in recent years, colored shades of light are quite expensive, with occasional incandescent bulbs that go for about $ 40. If it does not hold you back, the Gentle Sleep and Wake functions are now available only in English, US, Canada, Australia, Singapore and India.